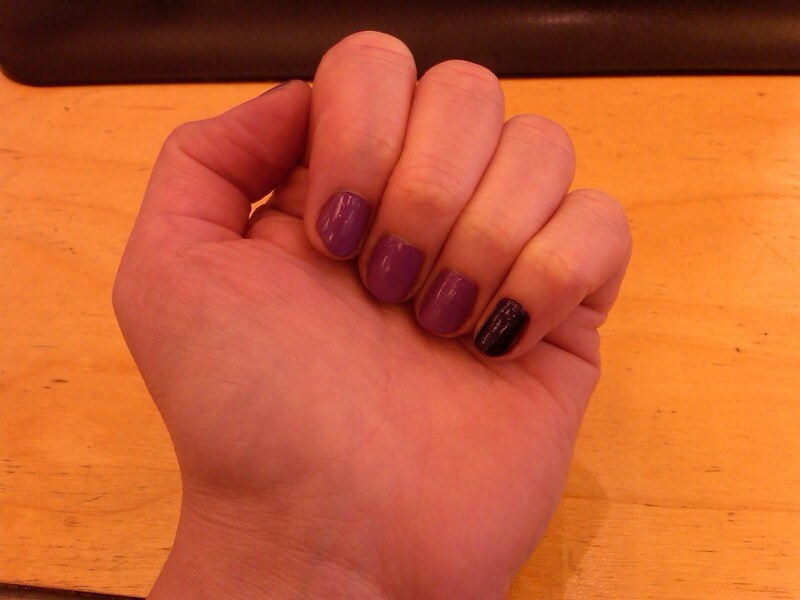 In case you can't tell, I'm really enjoying two-color manicures at the moment! This week I went for two complementary purples that had been sitting in my collection for, well, years. Shameful, I know! 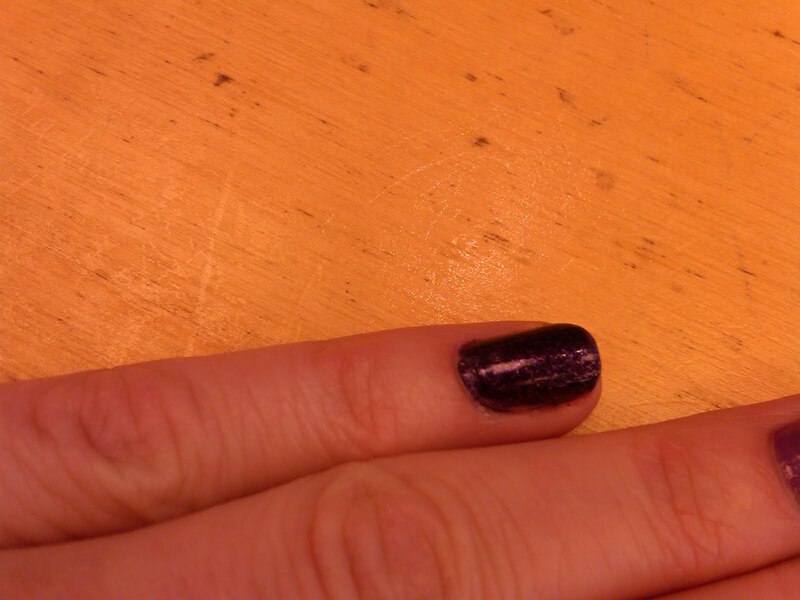 I used Sephora By OPI Don't Go There (from 2008's Autumn and Eve Collection), accenting with Orly Out Of This World. Out Of This World is from Orly's famed Cosmic FX Collection. I love the creamy consistency of the Sephora by OPI color, especially paired with the glittery magic of Orly. I love nail polish. Looks great on you. I am buying a silver shatter tomorrow.